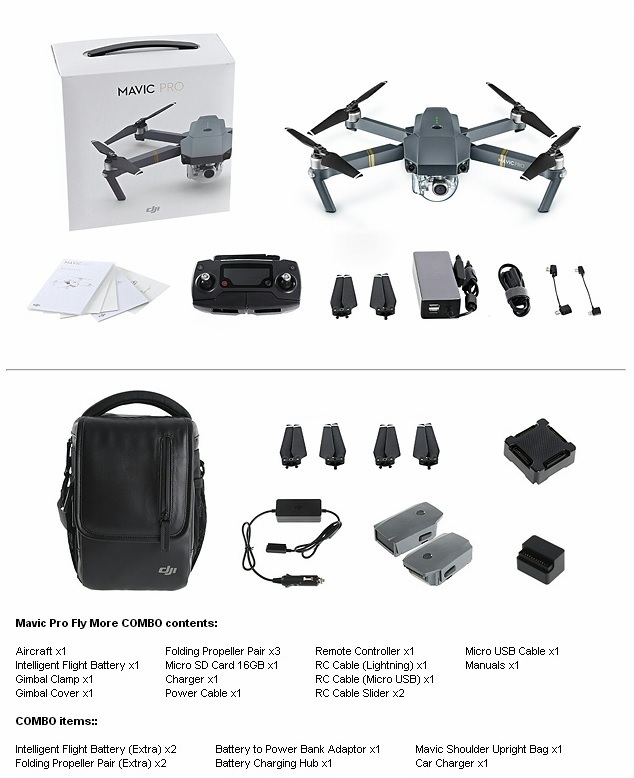 The Mavic from DJI packs features you once thought possible only on much larger platforms into a compact quadcopter that is snappy, agile, and captures high-resolution images. The drone features an advanced flight control system that draws on a host of sensors — including a ground-facing camera, ultrasound, GPS, dual redundant IMUs, and more — to keep track of where it is flying in 3D space and even avoid collisions. The Mavic works in tandem with DJI&apos;s GO mobile app for accessing settings, getting a telemetry readout, viewing a low-latency video feed, and even editing and sharing your footage. In addition traditional joystick style controls, you can fly with simple tap-based commands, and the Mavic can even recognize gestures for the perfect selfie. As the Mavic flies, it scans the world around it, creating a 3D map that tells it exactly where it can fly and what it needs to avoid. Because it uses vision processing, it can see up to 98&apos; in front and can accurately measure distance up to 49&apos; in front, making it significantly more accurate than sonar based avoidance technologies. When the Mavic detects an obstacle and sees a way around it, it will simply adjust its route to fly around it. If it can&apos;t see a way around, it will slow to a stop gently and hover until you tell it what to do next. Box Dimensions (LxWxH)12.0 x 10.6 x 10.3"